The former Team Sky rider added he would have “a lot to say” when UK Anti-Doping finished its investigation. BRITISH CYCLING GREAT Bradley Wiggins has promised he will have a “lot to say” and “shock a few people” when he finally comments on allegations he may have broken anti-doping rules. The five-times Olympic champion, who retired from cycling last year, said Saturday that dealing with the allegations, which he has denied repeatedly, had been “horrible” and “the worst thing to be accused of when you’re a man of my integrity”. The former Team Sky rider added he would have “a lot to say” when UK Anti-Doping finished its investigation into allegations he was injected with triamcinolone, a powerful corticosteroid, at the end of the 2011 Criterium du Dauphine race. Triamcinolone is a banned substance unless riders have a therapeutic use exemption — an official note allowing them to use otherwise prohibited drugs for the treatment of a legitimate medical condition. Wiggins retired in November last year, some two months after his medical records were revealed by the Russia-based Fancy Bears computer hacking group. These showed that Wiggins was given permission to take triamcinolone before three major races in 2011, 2012 and 2013 but they did not show if he had authorisation to take it at the 2011 Criterium du Dauphine. 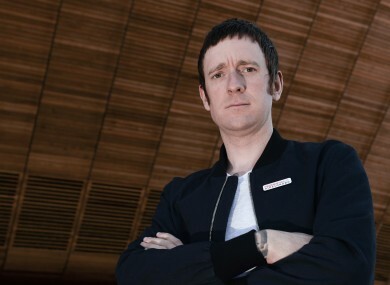 It’s been horrible, but fortunately there is an investigation going on,” Wiggins told Soccer AM, a programme broadcast by satellite station Sky — the sponsors of his former team. Meanwhile the 36-year-old Wiggins said he did not miss cycling “one bit”. “I haven’t been on my bike since November. I don’t miss it one bit,” he explained. “It’s just been nice to be home. It’s my son’s birthday on the weekend, tomorrow, and I think it’s the first birthday I’ve been here for 12 years – he’s 12. “I missed the birth as well because I am always racing this time of year, it’s full-on at the moment. So it’s just nice to be able to do things like that, and have a pint of Guinness on his birthday and take him out for Sunday roast,” added Wiggins, who took part in The Jump, celebrity ski-jumping television programme earlier this year only for his time on the show to be cut short when he fractured his leg. Team Sky, whose riders have won four of the last five editions of the Tour de France — road cycling’s most prestigious race — have also been under severe scrutiny from several inquiries regarding their anti-doping procedures. Former Team Sky medic Dr Richard Freeman has said he gave Wiggins the legal decongestant Fluimucil at the climax of the 2011 Criterium du Dauphine. However, Nicole Sapstead, the UKAD chief executive, told a committee of British lawmakers earlier this month that there were “no records” to substantiate this assertion. There are no records… he (Freeman) kept medical records on a laptop and he was meant, according to Team Sky policy, to upload those records to a dropbox that the other team doctors had access to,” said Sapstead. Email “Wiggins vows to 'shock a few people' over doping claims”. Feedback on “Wiggins vows to 'shock a few people' over doping claims”.